So Sunday afternoon we met at the race site to set up the racks. We had enough people that including travel and pounding the posts into the ground for the fencing it still only took about 3 hours. Morning came quick for Adult Swim. I was very tired – I tossed and turned – probably too much sleep from the night before. The working set was demanding. It consisted of 200’s, 100’s and 50’s times 2. I have noticed, as well as Coach Steve, that there is very little difference between my speeds at different distances. It takes so much more energy to go just a little bit faster. I was trying to slow down for the 200’s and finish them on 3:15 but the first few sets I was coming in at 3:00. And then on the 100’s I was coming in at about 1:28-29 and the 50’s it was like 42 seconds. My endurance trumps my speed. This happens in cycling and running as well. I guess I am built for distance but I sure am working on the improving the fast stuff. I have actually put pen to paper (pixel is screen) and I wrote a training plan that should help me achieve my running goals without allowing my swim and cycling to deteriorate. The main difference is replacing quantity with quality. The running and cycling will follow more of a FIRST (Furman Institute) training plan – just three demanding breakthrough workouts a week – intervals, tempos, and long distance. 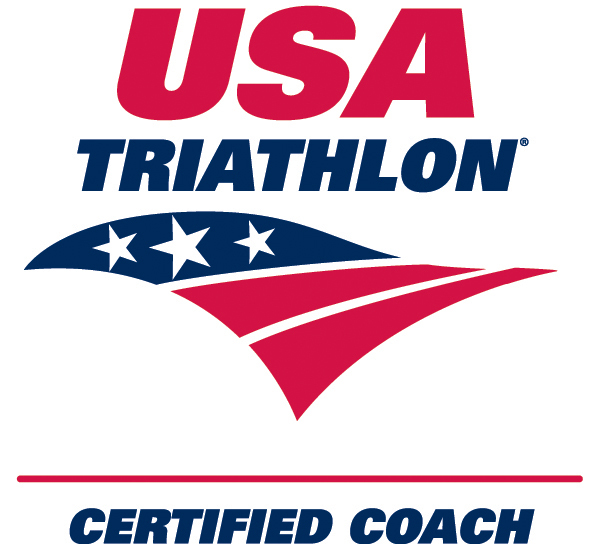 On a side note I received my USAT Level I Coaching Certificate! 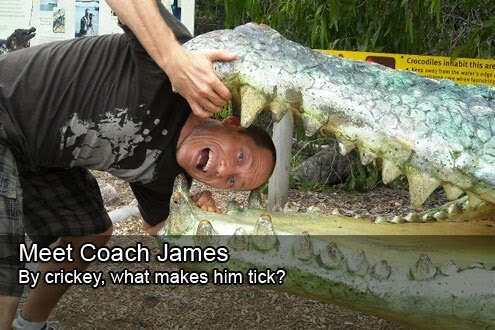 Congrats on the coaching certification James, that is really terrific! CONGRATS! You will be an awesome coach. I find it interesting that you say your endurance trumps your speed. Do you think this is a mental barrier you have created so that you know you will always have some gas in the tank? This is what I do. If I go out and want to go to failure... I cannot do it. I am ALWAYS conservative no matter what so that I finish. I was trying to find ways to change this personally. It involves speed work and intervals as well. Keep up the good work swimming your times are GREAT! Congrats on the coaching certification! I keep hearing about the FIRST training plan. Apparently, I may have been loosely following it without even knowing it. I may have to go check it out finally. Way to go on the certification! Awesome! Your swim times are amazing. oh meant to say I'm doing the FIRST program too..
You are a speedy swimmer. :) I only have one speed too, but mine is WAY slower than yours! When I say that my endurance trumps my speed I mean that there is not much difference between going all out at shorter distance than going for a longer distance. I would not say that my sprint speed is underdeveloped I would say that I have above average endurance (always look on the bright side of things). I think this is because endurance is so much more trainable than speed. When I run short distances – quarters, half miles and miles I am going all out – there is no holding back. When I look at something like the McMillan Running Calculator I am spot on from 5k to marathon but nowhere close on the quarters, half miles or mile. Congratulations on the coaching certification. I am planning on taking the Vegas December test. I have a silly question, but I thought I remembered reading one of your blog entries about the 3 most useful tools in swimming. I can't seem to find it. Was that you? And if yes, can you send me the link? Thanks so much! Okay, I found what I was looking for. Somebody else's blog. Although I'm pretty new to this whole swimming thing, I've been considering taking a masters swim class offered by the university nearby. Thanks for the advice with trainer workouts- uck, that spinervals dvd was so horrible. Ah, and there is no email address on my profile because my current email address contains my full name and because of a long distance stalker.... It's a long story. Perhaps I should consider getting a less-identifying email address to use for my blog.